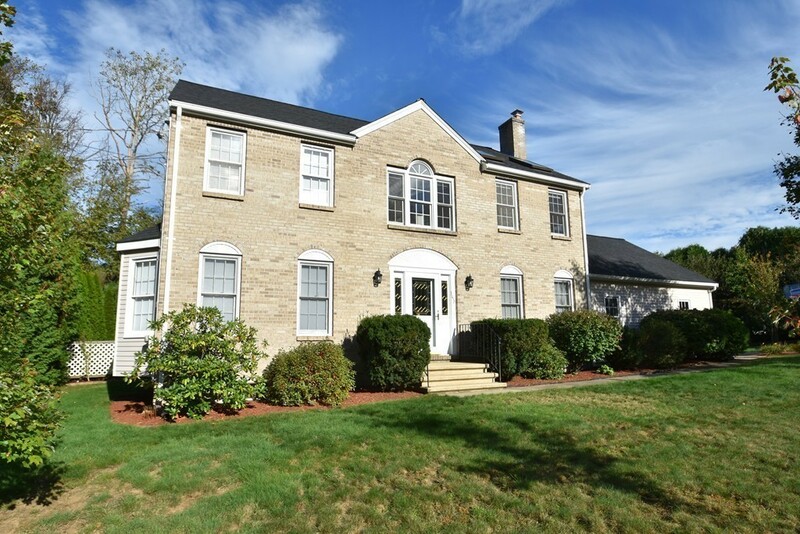 Beautiful 8 room brickfront Colonial home located in a ngbhd within minutes of EVERYTHING! Terrific level .42 Acre lot that's lushly landscaped & sets the stage for this appealing 4 bedrm home with 2.5 tiled bathrms & a 2 car garage! Impressive lvgrm & well-sized dngrm with walk-out bay windows, perfect for your holiday parties! A bright white kit. with NEW appliances & easy access to the fplc'd familyrm is great for entertaining! 1st flr half bath & laundry rm too! Tiled mudrm area leads to the spacious 2 car garage. A dramatic vaulted/skylit master suite offers a lg. walk-in closet & full private bath! Neutral wall & carpet colors, updated light fixtures & bathrm mirrors! HDWD flrs! Amazing grounds include fruit trees, a hidden secret Zen-like garden with stone paths, a private rear yard & a level driveway-perfect for basketball games! Minutes to school, Memorial Beach, the playground and shopping! Part. finished lower level with 818 SF ready for your final touches! Living Area Disclosures SF & rm sizes are approx.